What is a Resource Audit? Understanding what you have available to you as a business owner or manager is a crucial part of the overall puzzle. If you don’t know what resources you have at your disposal, you have no way to making good decisions that maximize your opportunities while minimizing your risks. That is the balancing act that every business must play, so understanding exactly what resources are at your disposal should be high on your priority list. 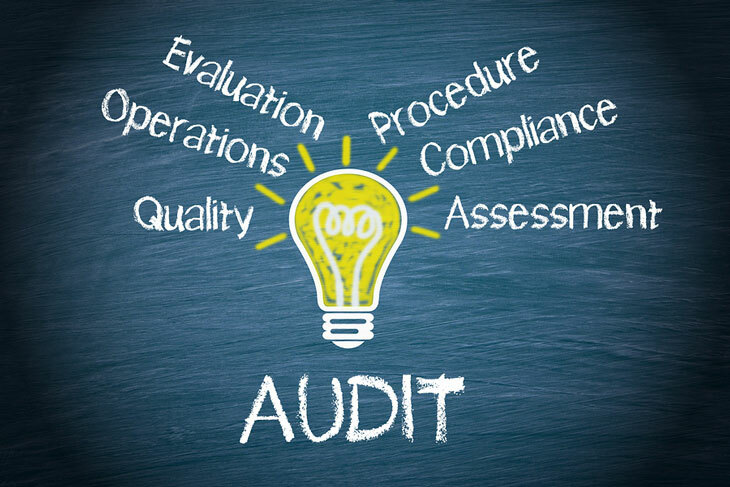 A resource audit is the process of going through everything that your business or organization has available to it. These resources can take on many forms, and are not limited to just obvious items like cash and inventory. The resource audit for your organization is likely to be unique to you because it will take into consideration specific needs that your industry has for things like experience and knowledge in a particular field. While it might take some time and effort to perform a proper resource audit on your organization, the information that this strategy process will reveal to you can be invaluable. 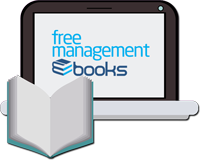 Let’s take a look at some of the categories of resources that could relate to your business. Some of the following will be obvious to you, but some of these items you might not have thought about as obvious resources up until this point. This is probably the first thing you think about when considering the resources that you have on hand. These are things like equipment, inventory, and even buildings that allow you to do what it is you do. Most likely, you are already making the most of these resources since they are the ones that get the most time and attention. However, it is always worth taking a fresh look at your physical resources to see if you could be getting more value from them than you currently are. Is some of the space in your buildings going unused, or being wasted on an unnecessary purpose? Are your machines being used to their fullest capacity as frequently as possible? When you take the time to review everything that you do and how you use what you have, you might be surprised to notice inefficiencies where you didn’t think any existed. Another category that receives plenty of attention. Unless your organization is hopelessly disorganized, you certainly already know what kind of financial resources you have available to you. Accurate financial records are one of the essentials for any organization, so this is an area that you hopefully have under control already. As with your physical resources, a review of financial resources is something that should be happening on an ongoing basis. You should always be finding ways to be more efficient with your money, so that the organization squeezes every last cent out of each dollar. In the competitive business environment that exists today, no company can afford to just give away money due to poor decision making or laziness among management. If you aren’t going to be smart with your financial resources, you can assume that your competitors will be. This is where it starts to get interesting from a management perspective, and where you can start to make real improvements in your organization. Each person that works within your company has a specific set of skills and experiences that is unique to them. If you want to get the best possible performance from your business as a whole, it starts by getting the most out of each individual person that you have available to you. Wages make up a huge part of any organizations budget, so make sure you get getting the best possible return from the investment you have made in these people. One of the most commonly made mistakes in terms of using human resources is putting people ‘into a box’ in terms of what they can do. Just because someone has been hired into your organization for a specific purpose doesn’t mean that they don’t have more to offer. Instead of trying to keep all of your employees or team members stuck in the same role that they are currently filling, encourage exploration and collaboration so you can uncover skills that you didn’t know existed within the work force. In doing this, you might find that you don’t need to hire as many new people when new projects come up – because the skills and experience are already found within your team. Give your employees the benefit of the doubt and provide them with opportunities to impress you by going outside of their usual routine. What else does your organization have going for it beyond what you can see within the building? Intangible resources can include things like a great reputation within the community, many years in business, or a presence in a niche market that lacks significant competition. Take a look at the advantages that you have from an intangible perspective and think about ways you can make those advantages work for you. For example, if your organization has been in business for a long time, you should leverage that point in advertising and marketing efforts to make sure potential customers understand how trustworthy you really are. It takes time to build up many of the intangibles in business, so don’t waste them once you have successfully put them in place. When you think about it, business is all about resources. Taking what you have available to you, and making it work in a way that gets you closer to your goals, is really the name of the game. The companies and organizations that play this game the best – and get the most possible production from their resources – are usually the ones that are going to come out on top. Don’t take anything that you have for granted. Instead, look at each of your resources closely and try to devise new ways to gain more and more benefit from them over time. An ongoing approach to improving resource utilization is something that any successful business will embrace and make a top priority. 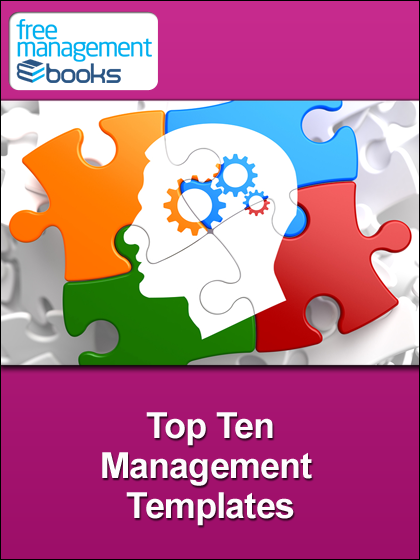 You can read more about the Resource Audit in our free eBook ‘Five Essential Business Strategy Tools’. Download it now for your PC, Mac, laptop, tablet, Kindle, eBook reader or Smartphone. 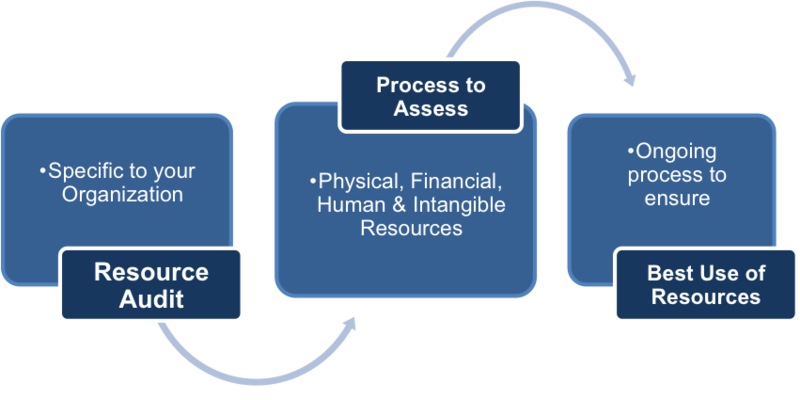 The resource audit identifies the resources available to a business. Some of these may be owned (e.g. plant and machinery, trademarks, retail outlets) whereas others can be obtained through partnerships, joint ventures or suppliers. Financial resources include the organisation’s financial assets including the ability to raise finance via credit. Physical resources include buildings and equipment, which may be either owned or leased. Human resources include both permanent and temporary staff. Reputation is a reflection of how the organization is perceived in the marketplace. Know-how is the intellectual property that enables the organization to function.